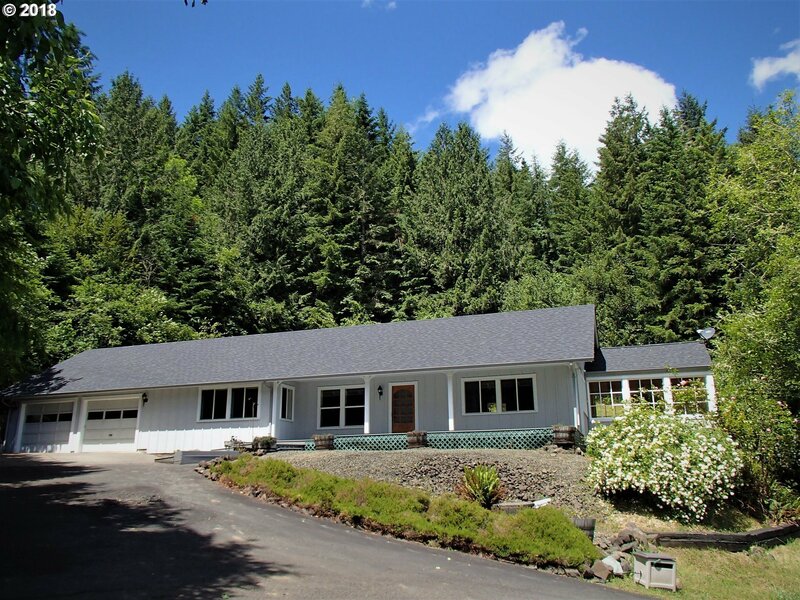 Come and see this beautiful home surrounded by forest. 2 bd, possible third, 1.5 baths, brand new carpet, vaulted wood ceilings, tons of custom cabinets, open concept, light filled sunroom, Brand new 50 year roof, new french drains, Recorded domestic river rights, brand new water system with UV. Clean pest and dry rot on file. Beautiful orchard and acres of forest. Some merch timber. This is your place in the country! Call today! Water Rights Remarks Public: Deeded Access To River Through Adjacent Property.